When Palak & Pralav met for the first time, at a cafe in Mumbai, they were absolutely certain that this would be a one-time meet. Now, when the supposedly one-time meet turned into a Story-to-tell, Who can say? Every couple isn't necessarily about the glimmer and shimmer. Sometimes they are beautiful in simplicity and modesty. Like it was in Palak and Pralav's wedding. How often does it happen that people you work with, leave you with a bundle of inspiration? 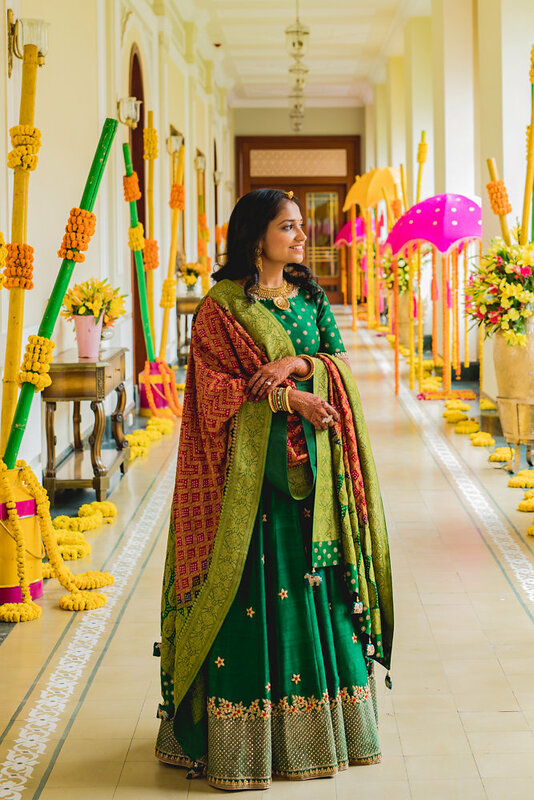 Umed Bhavan Palace is a haven for a fairytale wedding. And we've always wanted to document a wedding here. Fortunately we got that opportunity and needless to say, enjoyed every bit of it!